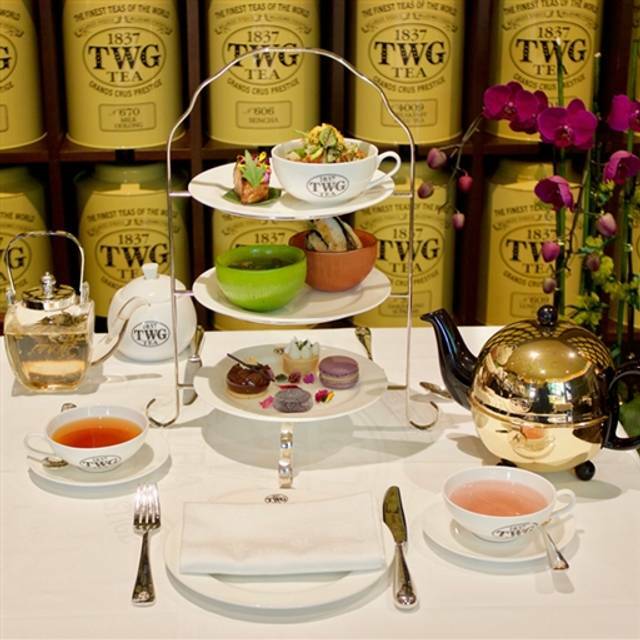 You must make reservations at least 5 minutes in advance of the time at TWG Tea Salon & Boutique. 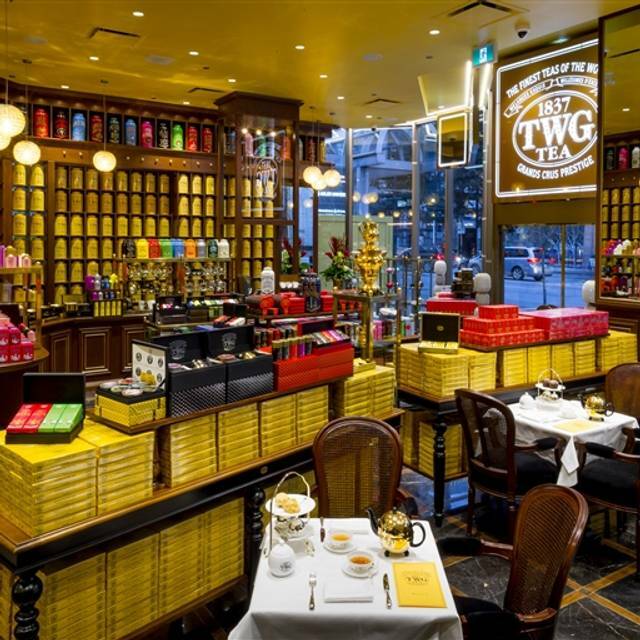 The TWG Tea Salon & Boutique has exclusive private TWG Tea Appreciation Workshops and more. Kindly email us at TWGTea@VansingDG.com for inquiries. 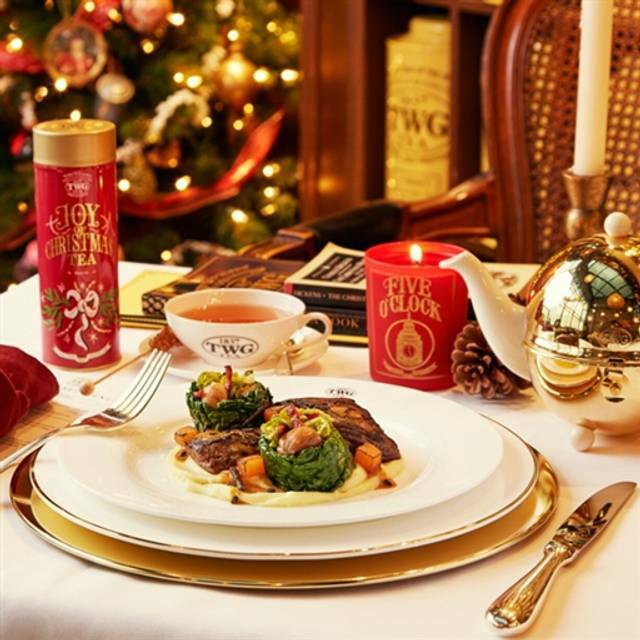 TWG Tea Salon & Boutique, the finest luxury tea brand of the world, offers a full dining menu for breakfast, lunch and dinner as well as an elegant afternoon and high tea services, a vast collection of over 500 fine harvest teas and exclusive tea blends and an exquisite selection of TWG Tea designed tea ware and accessories for the modern tea table. 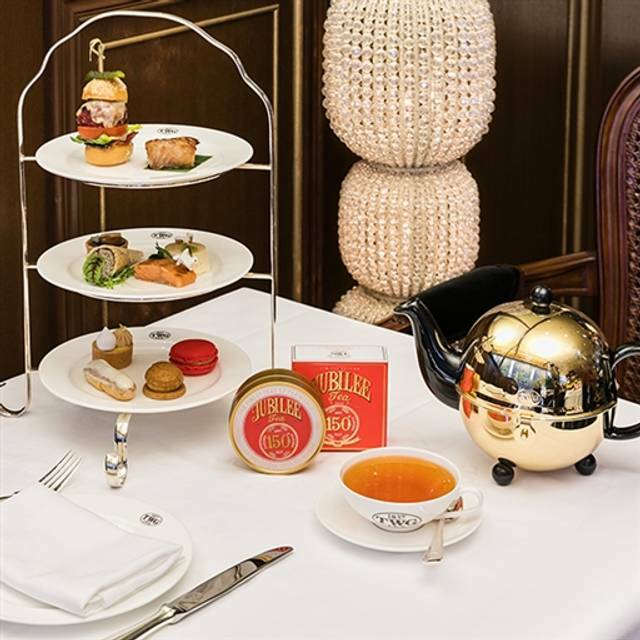 At the forefront of Tea Gastronomy in Vancouver, TWG Tea integrates a myriad of signature teas into savoury and sweet recipes using unique flavours creating an unmistakable nuance that deliciously enhances each dish. 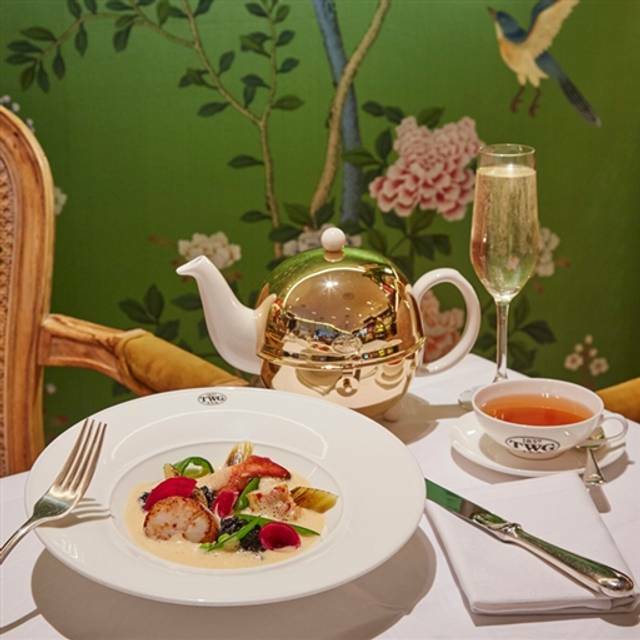 Offered daily, with breakfast, brunch, lunch, afternoon and high tea, dinner specialties and dessert, as well as trendsetting tea infused beverages and cocktails, tea is woven into every aspect of the meal - an unmistakable nuance that deliciously enhances each dish. Supplement for teas over $11. Toasted artisanal English muffins topped with two poached farmhouse eggs served with porcini hollandaise sauce and a choice of truffle mushroom duxelle, ham or smoked salmon accompanied by a petite mesclun salad tossed in an 1837 Black Tea infused vinaigrette. A lavish assortment of scrambled eggs and turkey sausage accompanied by roasted cherry tomatoes infused with Riviera Tea, sautéed mushrooms and Canadian style baked beans with fried onions, bacon and maple syrup. Farmhouse egg omelette with potato confit, caramelized onions and confit bell peppers served with a Manchego cheese sauce and mesclun salad tossed in an 1837 Green Tea vinaigrette. Pancakes with a medley of mixed berries, accompanied by a strawberry coulis and a scoop of Vanilla Bourbon Tea ice cream topped with chocolate pearls. Please ask your server for today's special creation. Opulent butter lettuce salad garnished with grilled chermoula chicken, caramelized veal bacon and breaded soft cooked egg, accompanied by heirloom tomatoes, avocado and Comté cheese sprinkled with freshly ground Purple Buds Tea and spices. Southern French inspired confit tuna belly and seared shrimp accompanied by a mesclun salad elegantly garnished with baby potatoes cooked in Purple Buds Tea, edamame, sweet bell peppers and taggiasche olives toss in a sweet and sour honey lemon dressing. Chilled Atlantic lobster and avocado timbale seasoned with spicy citrus and honey dressing, accompanied by artisanal pickles and baby spinach drizzled with Love Me Tea infused vinaigrette. Opulent butter lettuce salad garnished with grilled marinated tofu, accompanied by heirloom tomatoes, avocado and sprinkled with Purple Buds Tea and spices. Northern divine caviar served on ice accompanied by chopped egg whites and yolks, sliced lemons, fresh chives, artisan baguette and a Lemon Bush Tea infused crème fraîche. Linguine pasta tossed with sautéed forest mushrooms in a light garlic and cream sauce, accompanied by wilted spinach, roasted asparagus and a soft cooked egg topped with Genmaicha furikake. Oven-baked layers of pasta with beef ragout served with a signature homemade tomato and fresh basil sauce infused with Moroccan Mint Tea. Wagyu beef burger served on an artisanal bun with lettuce, tomato, Comté cheese and barbecue sauce infused with Smoky Earl Grey, accompanied by Matcha matchstick potatoes and a mesclun salad. (Option of yam fries instead of matchstick potatoes, $2 supplement applies). Wagyu beef tenderloin accompanied by potato mash and steamed vegetables, served with a Number 12 Tea infused jus. Braised beef short ribs infused with Shen Nong Tea, accompanied by sautéed green asparagus, shiitake mushrooms and an organic soft cooked egg, served with Vichy carrots, bread croutons and shyra leaves. Roasted chicken thigh marinated with peanuts, tonka beans and dried chillies, accompanied by a spicy green curry rice, Japanese okra and cereals infused with White Earl Grey. Roasted sablefish marinated in Caramel Tea infused organic brown miso accompanied by soba noodles tossed in sesame oil, baby bok choy and wilted spinach with garlic. BC salmon caramelized with teriyaki sauce accompanied by coconut ginger rice, steamed edamame, sautéed oyster mushrooms and served with a Matcha beurre blanc sauce. Atlantic Lobster accompanied by a pearl couscous ragout with Wagyu chorizo and oyster mushrooms, served with a lobster emulsion and sprinkled with crushed African Ball tea leaves and mini shrimp. Tossed in 1837 Green Tea infused vinaigrette. With pure white Alba truffle oil and Matcha salt. 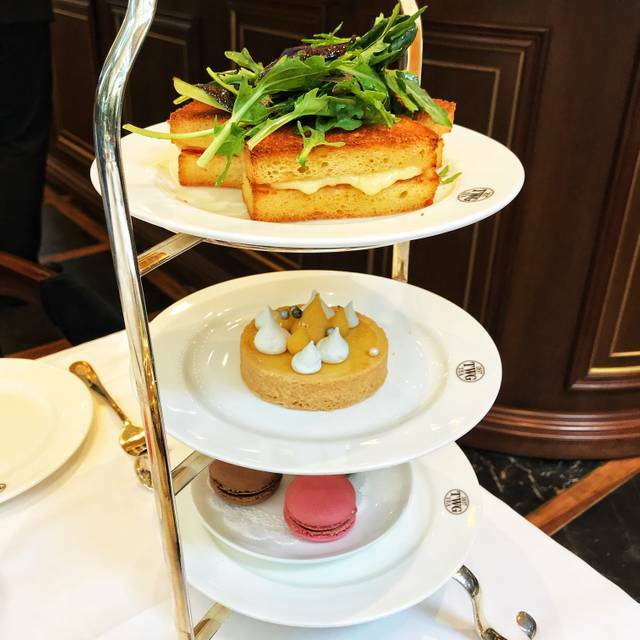 Iconic French delicacy composed of sautéed spinach, mushroom and egg custard baked in a savoury dough mixed with Gruyère cheese accompanied by mesclun salad tossed in an 1837 Black Tea infused dressing. Warm toasted sandwich with turkey ham, French Comté cheese and an 1837 Black Tea infused béchamel sauce, accompanied by a delicate green salad and house vinaigrette. Warm toasted sandwich with roasted Portobello mushroom and duxelle with an Emperor Pu-Erh infused white truffle béchamel sauce, accompanied by a delicate green salad and house vinaigrette. Toasted homemade pain de mie with tiger prawn and lobster chunks coated with a Thai basil and lemongrass mayonnaise, layered with lettuce chiffonade, Roma tomatoes accompanied by a delicate green salad tossed in an 1837 Green Tea infused vinaigrette. (Option of truffled matchstick potatoes instead of garden salad, $4 supplement applies). Assortment of 5 finger sandwiches: $25. Accompanied by Geisha Blossom Tea infused crème fraîche, Meyer lemon and Northern Divine caviar. With house made Summer Palace Tea infused cherry jam. With nori and Genmaicha furikake. With aioli and mirror quail eggs. With signature Summer Palace Tea infused cherry jam. With Comte cheese and barbecue sauce infused with Smoky Earl Grey. With Weekend in Hong Kong Tea infused rhubarb chutney. With coconut milk, cilantro and mango infused with alfonso tea. With Red Jasmine Tea infused bisque sauce. With Tokyo-Singapore Tea infused gremolata. TWG Tea desserts are entirely conceived, crafted and delivered by hand to ensure the very finest quality to our customers. Created as ethereal desires, these gastronomic images are as delicious as they are fleeting, to bring you back, time and again, to the tea table, nostalgic of moments past. Luxurious dark truffle chocolate cake topped with a scoop of earl grey fortune & chocolate ice cream, served with vanilla bourbon tea infused chocolate crumble. Fresh pears poached with spices and cinnamon tea accompanied by a madeleine cookie and pecan crumble, served with a salted caramel sauce. Vanilla bourbon tea ice cream and sakura! Sakura! Tea sorbet encased in a frozen meringue topped with fresh berries and raspberry coulis. Two miniature creme brûlées delightfully infused with two exclusive tea blends - napolean tea and coconut tea. $3 each. TWG tea's renowned crispy almond biscuit with a soft centre. 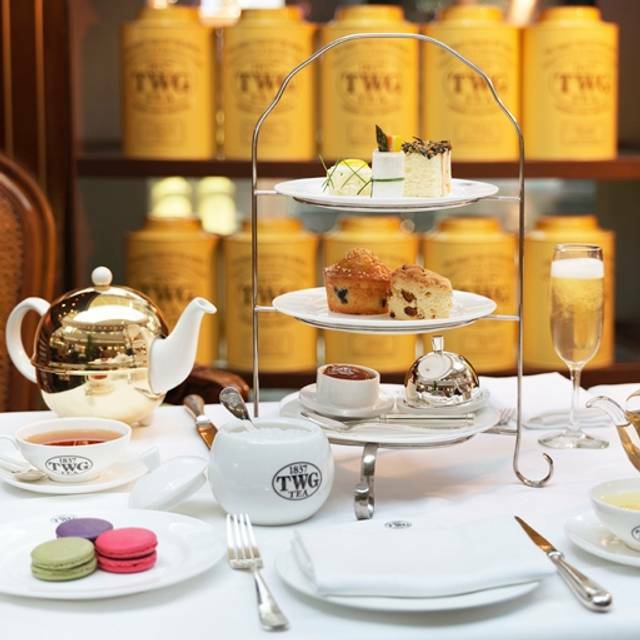 Infused with our signature teas, TWG tea has transformed the macaron into a uniquely memorable confection. $9.50. Choose from our trolley of tea-infused patisseries, conceived and crafted fresh daily. Served with TWG Tea jelly and whipped cream. Handmade from only the finest and freshest natural ingredients, TWG tea ice creams & sorbets are all uniquely infused with our teas. Choose from the selection below. Single Scoop $5, Choice of 2 Scoops $9, Choice of 3 Scoops $12. Rich notes of black tea, bergamot & chocolate. Jasmine queen tea with sweet jasmine. Precious powdered Japanese green tea. Red tea (rooibos) blended with aromatic vanilla bean. Black tea with ripe berries, anise & caramel. Sakura blossoms, green tea & red berries. Sparkling White Wine Cocktail Infused with Red Chai Tea. Cocktail of Eternal Summer Tea, vodka, cranberry juice and lime juice. Cocktail of Margaret's Hope FTGFOP1 First Flush, lime and lemon juice and tequila. Pink Flamingo Tea infused with gin and tonic water. Rum infused with Gnawa Tea, Moroccan Mint Tea and Yuzu. Sparkling wine infused with Darjeeling Princess Tea and fresh orange juice. Mocktail of mango purée, carrot juice, orange juice and Genmaicha. Mocktail of cucumber juice, green apple juice, lime juice and Matcha. Refreshing mocktail of grapefruit juice, lemon juice, yuzu juice and Jade of Africa Tea. Mocktail of lychee juice and Bain de Roses Tea. 63% grown at Pheasant Run Organics in Kaleden, and 37% grown at Knollvine Farm in Okanagan Falls. These two vineyards face each other across Skaha Lake.100% aged in French and American oak barrels for 31 months. Age worthy, or can be enjoyed today after decanting. A beautiful wine with notes of blackberry, blackcurrant, vanilla, and mocha. With a smooth, yet firm finish and delightful long-lasting on the palate.The vert best grapes of the 2012 vintage were handselected for this classic right-bank Bordeaux blend. A combination of 50% merlot, 39% cabernet Franc, 7% Malbec and 4% Cabernet Sauvignon, aged 28 months in French oak barrels.Very age worthy, great for anyones cellar or enjoy today with some decanting. On the nose this wine is bursting with some fruit, lychee, ruby red grapefruit, peach and spice. On the palate is a full body and a long floral finish with subtle hints of baking spice. Clean, fruity, floral, and delicious. Classic Gew. Loire - This Sauvignon Blanc is a pale straw colour with green highlights. The nose is classic with pronounced herbal notes and fresh citrus. Subtle fruit flavours and crisp acidity are balanced by a nice mineral undertone. A vibrant ice wine with notes of honey, apricot, and poached pear. Beautifully balanced to leave a mouthwatering finish. Chilled by itself or with fresh fruit, drizzled over ice cream or in a nice ice wine martini. A true Okanagan Valley classic, winning gold medals every year since first released in 1992. Made in the traditional method from organic Riesling, Chardonnay and Pinot Blanc. Aromas of apple, lime, pear, almonds and grapefruit. On the palate Cipe Brut exhibits crisp acidity, a soft, creamy mousse, and a long finished. Bright straw-yellow in colour, with an elegant mousse, Veuve Clicquot shows fruity, citrus, mineral and toasty aromas. Made in a dry, full-bodied style, it has well-balanced acidity and complex flavours of crisp apple, mineral, citrus and shortbread on the long finish. The length of this sparkle is truly astounding. Friendly people. good location. Fresh cream on scones. Tea is amazing. Very nice menu and tea selection, beautiful decor, attentive staff. My only qualm is that upon arrival is was NOT made clear that the tea mocktails were unavailable, and I had my hopes up to try one before ordering and a waiter told me they were actually unavailable. This should be made clear BEFORE a customer orders. My friend and I had high tea here and we had a great time. She got the chic and I got the signature. Everything was delicious. There are just better tea places. I was really looking forward to trying this place out because a coworker recommended it. And.....it just wasn't good and I left being pretty frustrated. The food that you get as a tea set was not good and tasted like bad seafood. But on the other hand, my husband had the salmon w/ edamame and really enjoyed it. The desserts and tea were tasty. The room was cute and quaint and I enjoyed being in the atmosphere, but the service really killed it for me. I received my food relatively quickly, but it took over an hour for my husband to receive his. They forgot to place the order or something, I'm not sure what happened. But they only offered a $3 macaroon to make up for the 1 hr delay, not much for an equal trade. The service staff looked really bored and would just wander around the place so I'm not sure why it took so long to receive the food. They then took forever to come by for us to pay and leave. Which just adds to the frustration since they were just aimlessly wandering around. The service was extremely poor…only a few people dining at that time but waiters were standing there chatting and left us waited for half an hour to get a menu，then another hour to serve the tea set（after our order was first served to the wrong table）. Don't go there. Had a good time with my friends, space is a little bit too small, nice staff and good service. Where we were seated was off in the rear area near a doorway by a walkway to the back of restaurant, so not much ambience. The food was tasty but with no scones we felt a bit hungry after the $48 tea service. Our server was told that my daughter had allergies to peanuts and pistachios but they gave her a cookie with pistachio on it. When we asked the server again, she asked the chef and was told there was no pistachio on the cookie. My daughter had already taken a bite from the cookie when server came back and informed us that there was actually pistachio on the cookie after all. The tea was good quality but there was no one way you could ask for more hot water for the tea because the tea leaves were thrown out, so there was only 1 pot of tea each. I really want to like this tea place in Vancouver as it was raved by my friends how good it was with their restaurants abroad. Right when we got in, we were seated on a table with blemished on their white linen. Not sure if the linen was even clean. Some order that gave us an impression that they don't make their food fresh and was done pre-cooked and then just heated up. Ordered earl grey ice cream, waited 20min for it, only to be served with chocolate ice cream. The place wasn't even full. Servers need to be more attentive. We went to Laduree instead and had a great time. Not sure if they changed chefs but the food tasted much better compared to when they first opened. Scones are delicious, crisp on outside and soft inside. Would definitely go again. The asian server guy with glasses was very attentive. A very good place to go with friends, just not satisfy with the waiting time, it takes so long for waiters coming to our table, other services are really good there. I like the guy(looks like manager) introduce different tea to me, this helps me a lot in choosing tea. This is the fourth time we enjoyed afternoon high tea here. The seasonal menu always brings us surprises. The service quality and professions in tea selection/recommendation is one of the best in town! We will definitely come back again!! Service and atmosphere were excellent. Food and tea were delicious. My friend and I really enjoyed everything. I would like to try other menu. If I was able to check my coat, there's nothing to complain. It’s where my girlfriends and I meet for tea, deserts and gossip among ourselves. Service was excellent and the environment was great. Beautiful space to spend your morning! I was amazed by the wide selection of teas from all around the world. Great and knowledgable service. 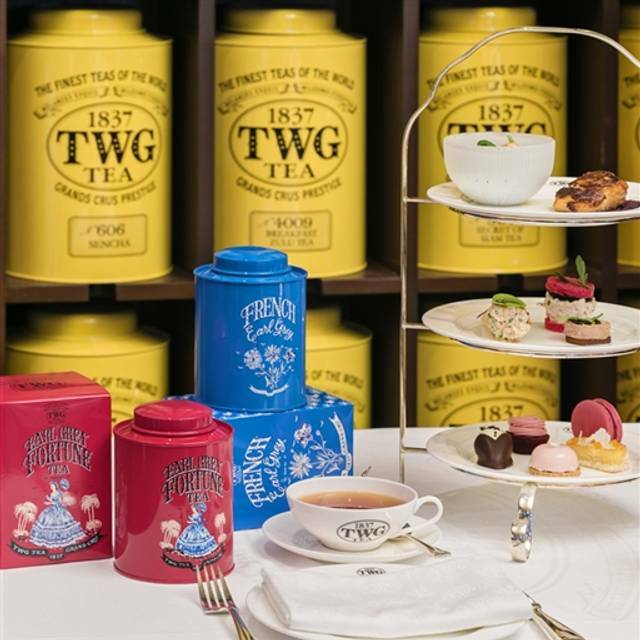 I have been to TWG a lot of time but honestly, the tastes of their afternoon tea sets are getting worse. The sets are pretty pricy as well, I don't think it worths the money. Their scones are the only thing that I will come back for, nothing else. Great place to go for a special occasion or if you just love really good tea. Macaroons are awesome. Finger sandwich really can be finished with one bite (1 dollar size), and taste normally, not worth the money. But their dessert is not bad, I like their Tiramisu. This is a unique High Tea Experience. 800 types of tea, you really don't know where to start! The head waiter seems very knowledgeable. Every item on their menu (well almost) has one of their many tea as an ingredient. Price is a little high but it's a worthy splurge for once in a blue mooon. I bring my daughter here every Christmas for afternoon tea. This time the service was poor and the food not memorable or good. We did not enjoy it at all. I asked after and found out that the owner had changed. Will not come here again for afternoon tea. Will find an alternative. The tea was very good and place luxurious but the service needs a big improvement! I felt that the service was inconsistent. We were a group of 4 Asian women. The table beside me were 2 Caucasian ladies. The server kept coming to their table to ask " Is everything good? ", while we did not get asked. The waitress even rudely told us, " You know we have a minimum spend for large group." Also there were so many things in the menu not available! Angie in particular is extremely knowledgeable about all the teas they carry. She remembers me each time I am in, even thought it is only a few times a year. In addition, she remembers what tea I have purchased in the past, my tastes and recommends the most delicious and seasonal teas. She is a huge reason as to why I keep coming back and is a real jewel in the entire experience! Great selection of tea. Good for quiet conversation. Good for a relaxing afternoon or evening. Good service and good decor. We enjoyed our tea time. It was relaxing and quiet. Good selection of teas. A welcomded break from the noisey restaurants around town. Good food and a attention to detail on the service made for a wonderful evening. Our waitress is very young and I told her we are here the first time, she did it explain much and just wait for us to look at the menu. Even when she bring the tea set, no explanation at all. I saw other waitress explaining to their guests, I think she need to be trained. I have been to a number of places for high tea, this one is the least impressive. I mentioned when I book that it is for my sister birthday and no one said anything. Very disappointed. The table next to us, the group of lady are pretty loud. There are 3 things I’d like to mention that is different than the TWG in Hong Kong. 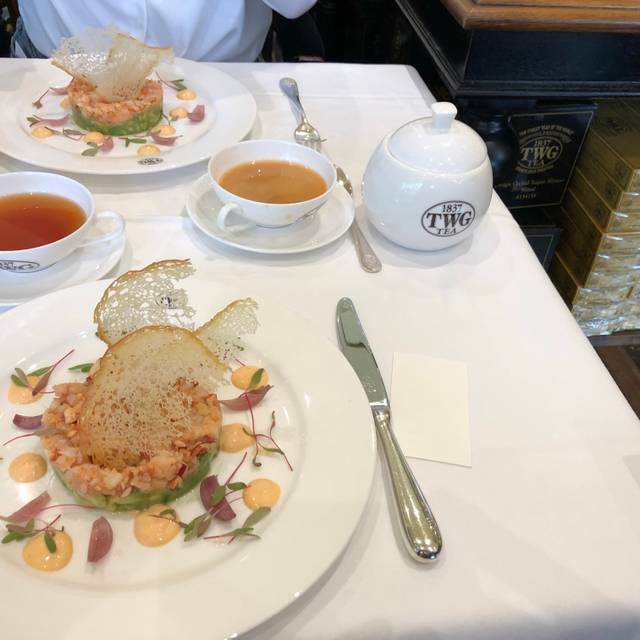 We went at TWG to celebrate an anniversary. It was at diner time. We took a savory crepe for starter, it was unfortunately dry and not a lot of filling inside. Main dishes were very good however, we found the top of the tomato inside the burger which is usually the part that you cut and throw away in "fine dining" or even at home. I made sure to leave it on the plate to be noticed. I asked a scoop of vanilla ice cream that had also a very particular taste. But everyone has different taste. Having said that, our server was sweet and professional and made our experience better. I will still give it a try for an afternoon tea. Brunch and tea were excellent, but service was very slow. Given how few people were being served, there were very long waits between visits. Enjoyed the vast tea menu and information book. The server of our table was not very familiar with the products. quiet and comfort location to enjoy the afternoon tea with friends.